NOW ON THE GOLD COAST FOR YOUR VIEWING CONVENIENCE! 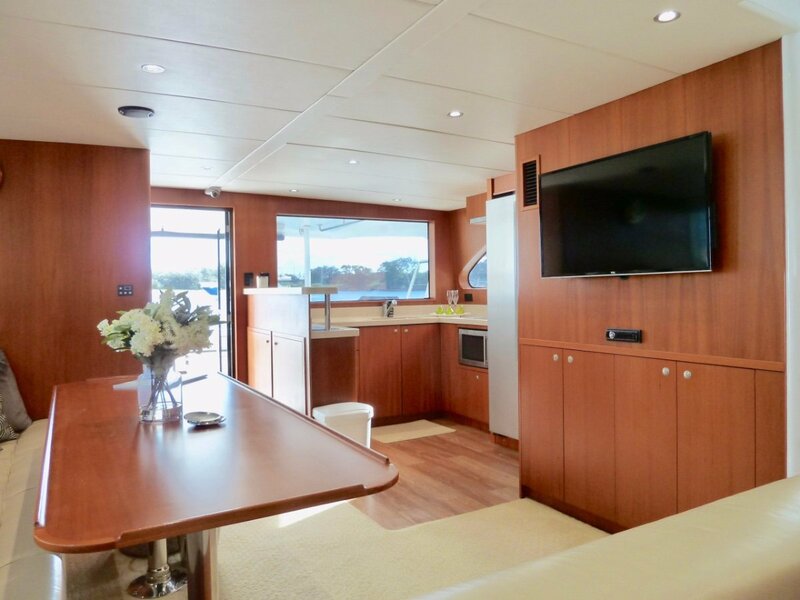 Beautifully presented, this Long Range Cruiser is perfect for cruising the Australian coast and Pacific Islands. 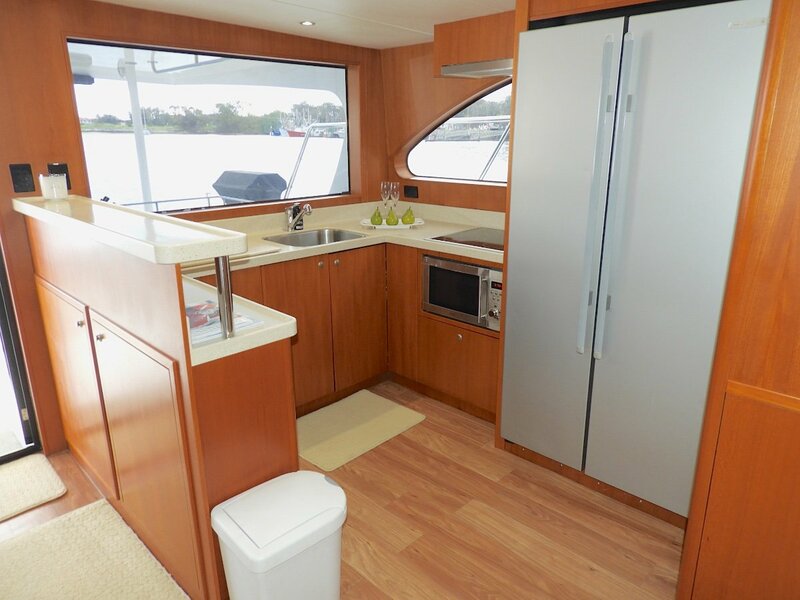 Built for the previous original Darwin based owner who cruised the East Coast and Kimberley. 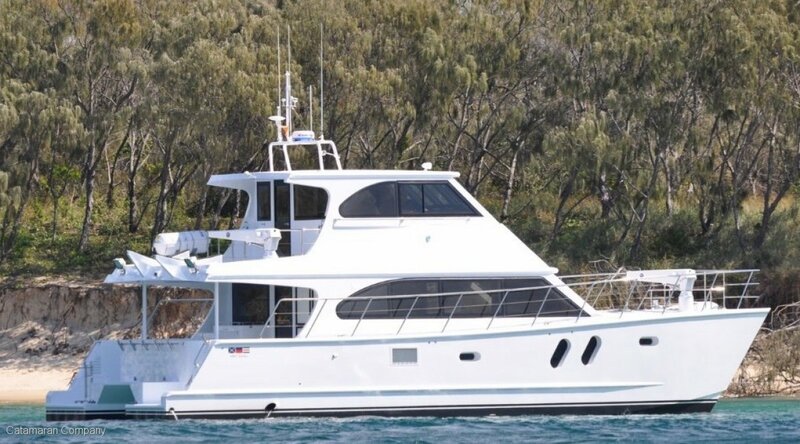 We sold her to the present owner who's cruised "over the top end" and the east coast. 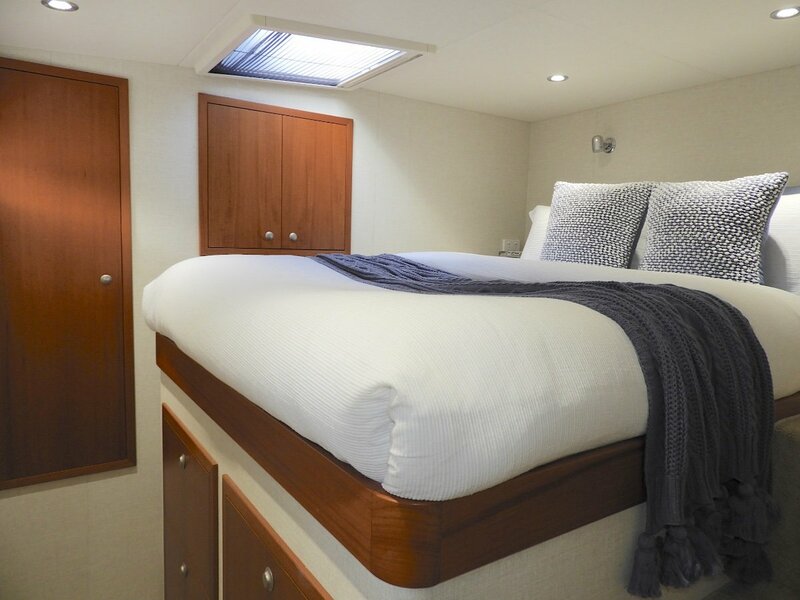 Professionally maintained, fitted with very efficient Cummins diesels, she uses just 20 ltrs/hr total at 9 knots, 100 ltrs/hr at fast cruise of 19 knots. 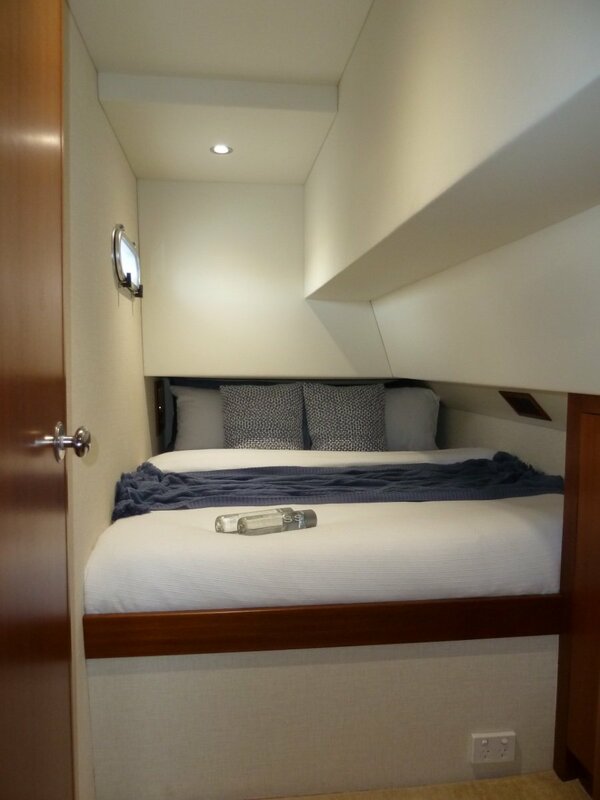 There is a day head and full size laundry which opens to the spacious weather protected cockpit. 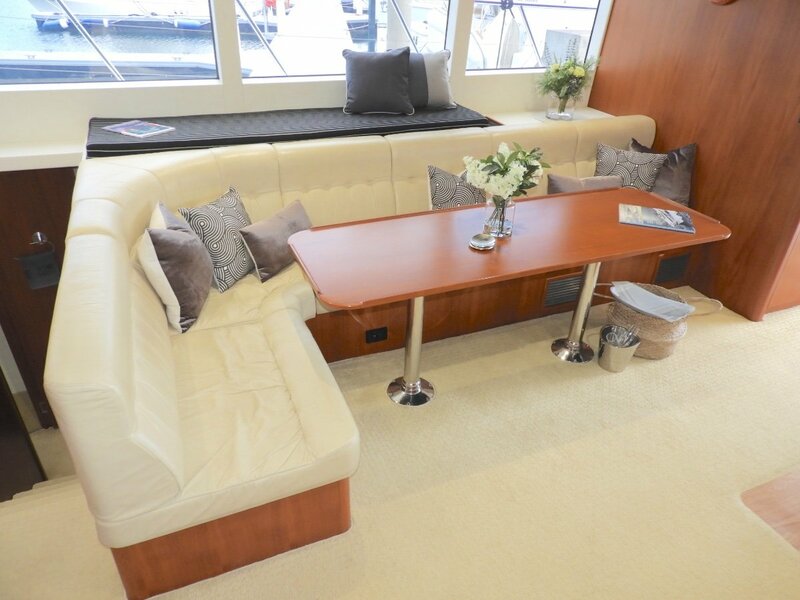 The U-shaped well equipped galley to port aft with saloon opposite is light, airy and offers 270 degree panoramic ocean views. 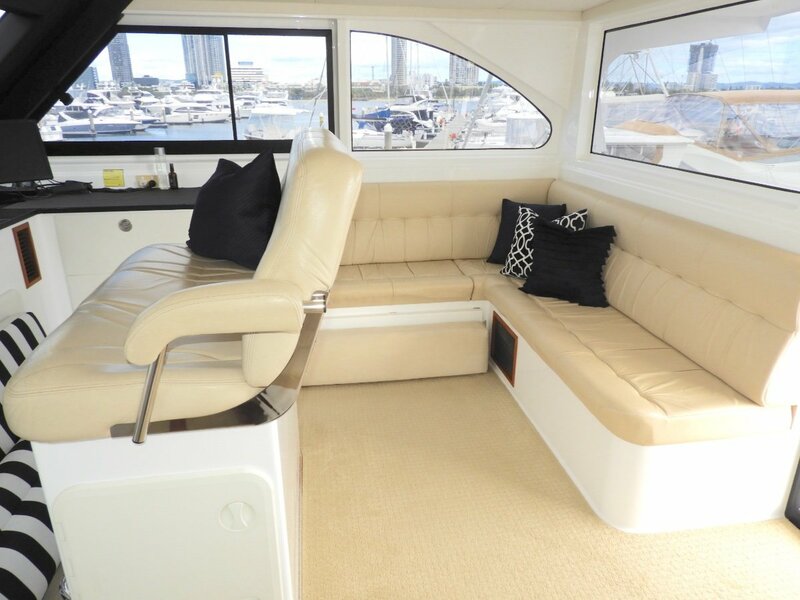 The enclosed air conditioned flybridge has L shaped seating for six plus, a fridge, and a professional helm chair behind the very comprehensive array of electronics. 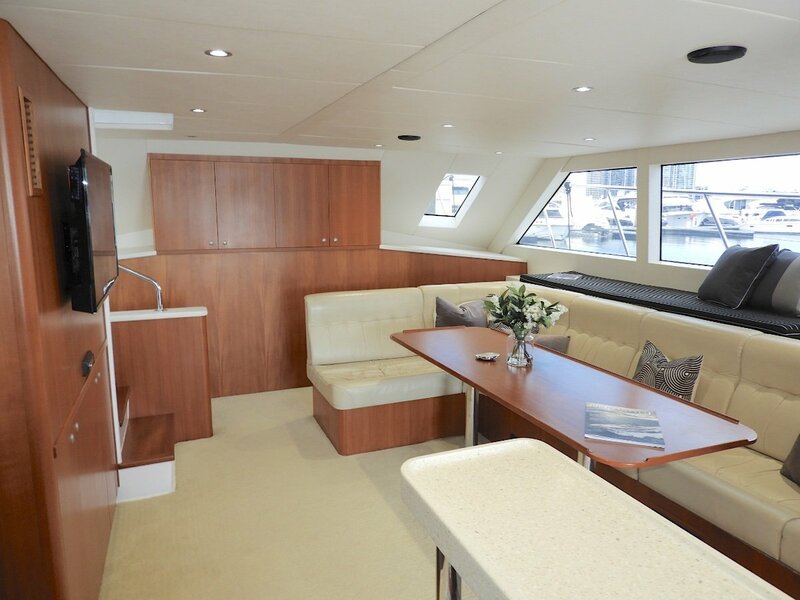 The whole boat was two pack painted last year to meet with the owner's high standards, she looks like new inside and out. 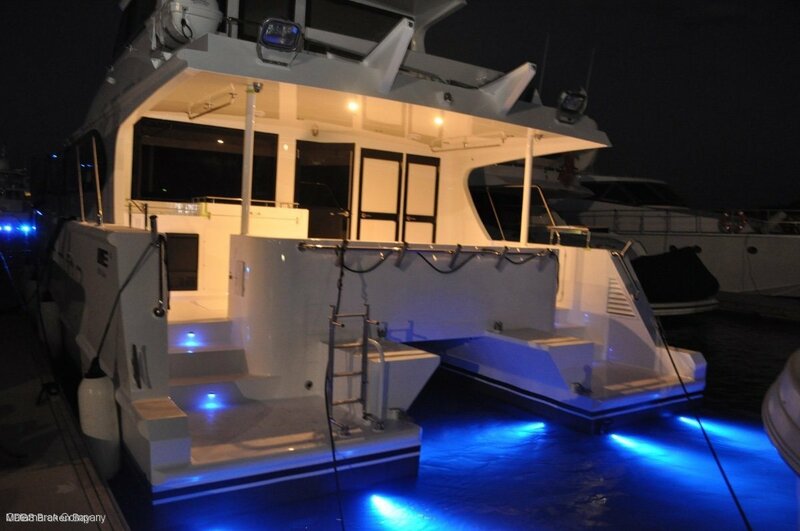 Super yacht paint finishes make exterior cleaning very easy. 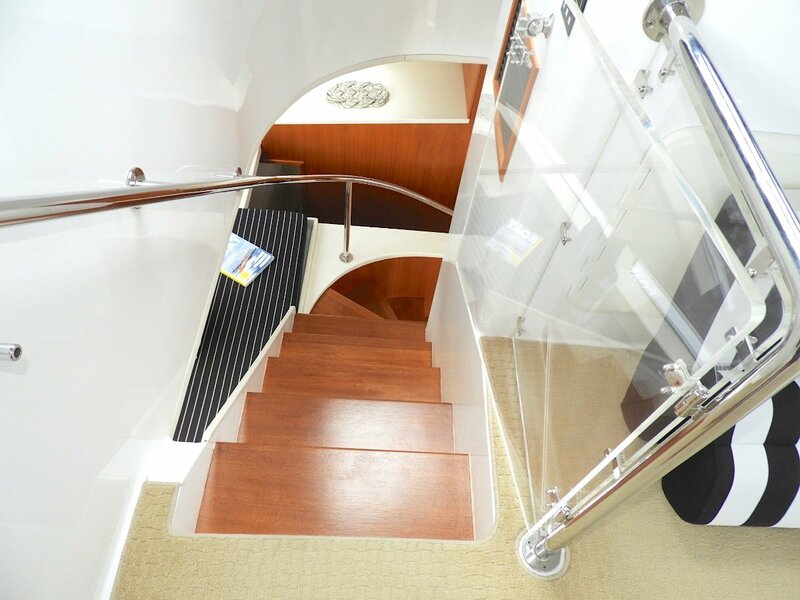 Internal staircase from saloon to flybridge. 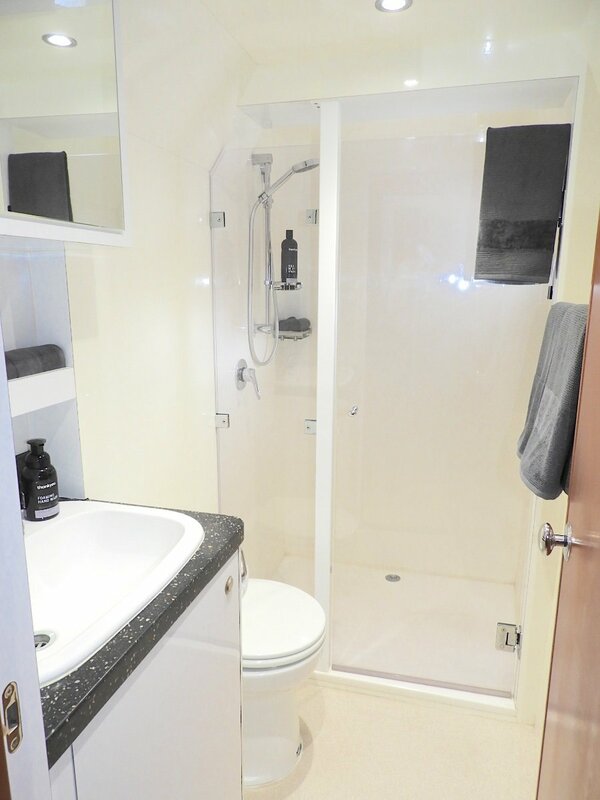 "Rock n Roll" is immaculate and realistically offered for immediate sale at just half the replacement price. 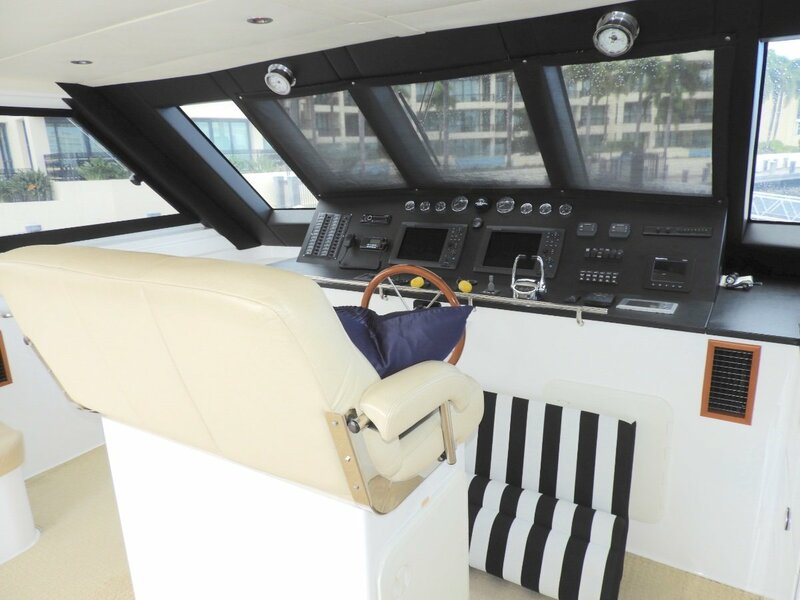 Twin Cummins Diesel, 2 x 355 HP, QSB5.9-355 with Cummins DTS fly by wire electronic controls in flybridge and on aft flybridge deck. 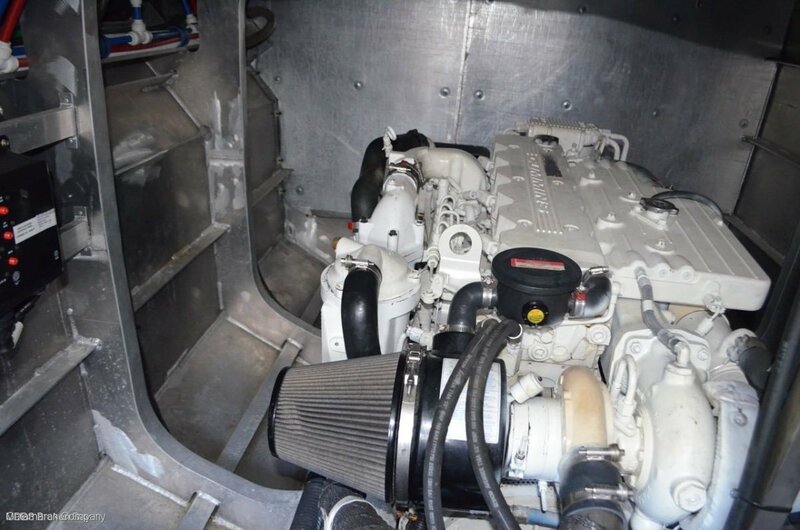 Twin disk gearboxes to conventional shaft drive. Drip less ceramic seals. Rogers and Lough 24D x 24P propellers. 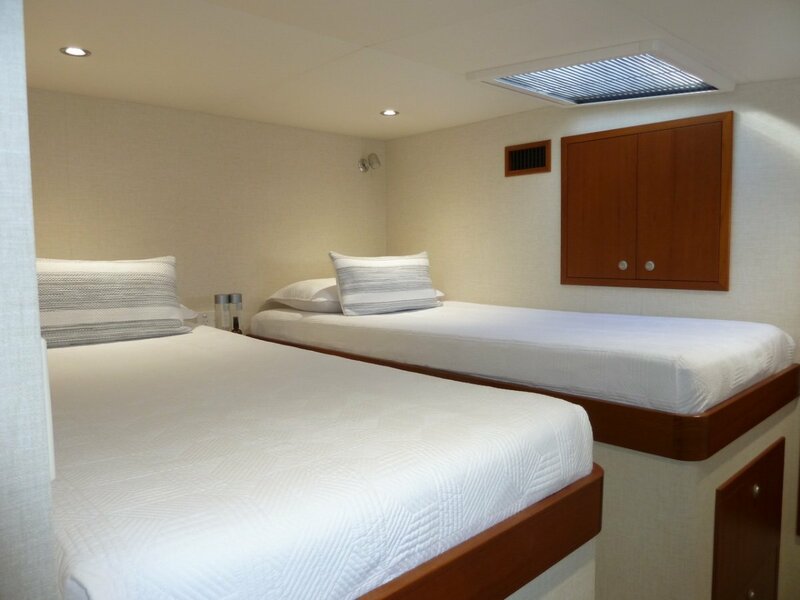 Engine room is clean, spacious and well ventilated. 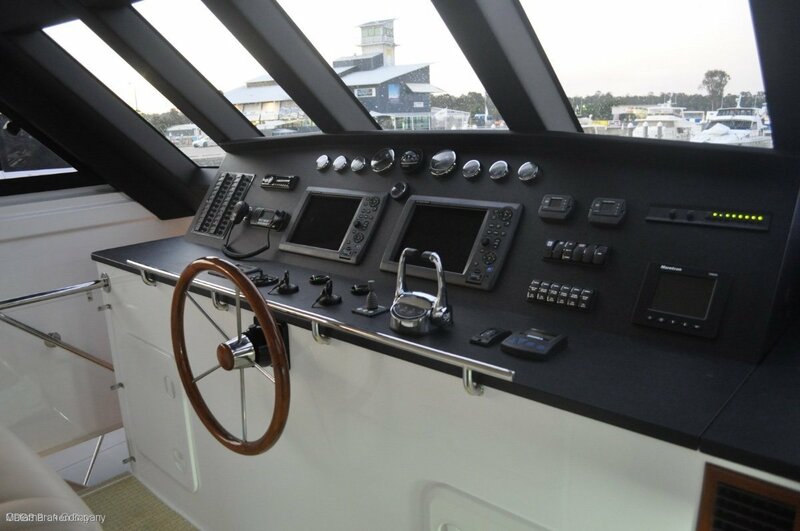 A master piece from one of Australia's best aluminium yacht builders, MEC Marine, Gold Coast. 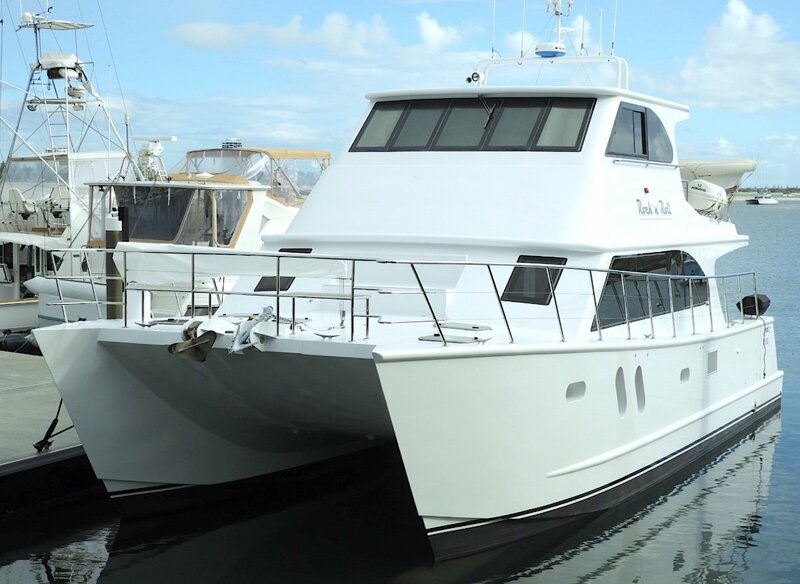 This vessel previously based in Darwin with her original owner, has cruised the Kimberley so is equipped to take you there in style, safety and comfort.